Heading to the ballgame? Or maybe a concert at the stadium? What better way to get there than on a pedicab! Get the excitement going with a ride through town on your way to the event, or from it afterward. Don't wrestle with parking and traffic when you can be dropped off right at the door, and also bring you back afterwards. Convenient, fun and the best way to keep your whole night awesome from start to finish! Two passengers per pedicab ride, (or, if you have children, up to four passengers) can schedule before the event or pick you up after, whichever is most convenient for you. These rides are subject to availability, so please reserve in advance. Why not see more of San Francisco? Book one of the following tours! Want to see the best sites of San Francisco without all the walking? Or are you on a limited schedule but still want to swing by Fisherman's Wharf for clam chowder? 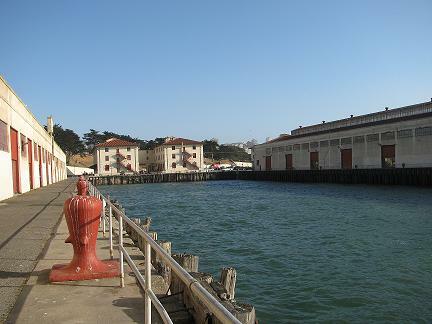 Let us bring the best of San Francisco's waterfront all together for you! Our historic waterfront ride is a "mini tour" that packs in several hot spots. The rides hits places like historic Hyde Street Pier, Ghirardelli Square, Fisherman's Wharf, Pier 39, Alcatraz Landing, the cruise ship terminal, and much more. We'll even pick you up and drop you off wherever in downtown is most convenient for you. Then it's off to the Ferry Building (Pier 0), Pier 23 bar, Aquatic Park, the cable cars, and more! $30 surcharge is added for Union Square pick-ups or drop offs. Remember: we don't roll well wet, so if there is significant rain in the forecast, all daily excursions will be cancelled. Already seen all the touristy stuff? Want to check out more of the "real" San Francisco? There's so much more to see and a pedicab is the most convenient way to see it. 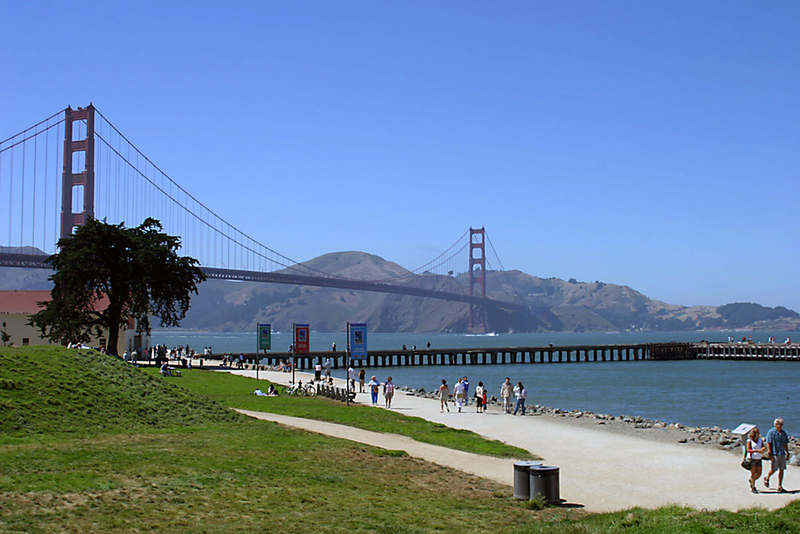 On this route, you will have the opportunity to see the Palace of Fine Arts, the Presidio, and a stunning view of the Golden Gate Bridge from Crissy Field. Rides typically start/end from Fort Mason but can be customized per request, so feel free to let us know if you have another idea! Minimum of 2 passengers for this ride. Remember: we don't roll well wet, so if there is significant rain in the forecast, all daily excursions will be canceled.